Looking for a Drug Rehab or Alcohol Rehab Program in Utah? Utah is home to a large illegal drug market. Nearly every type of drug is available, ranging from locally manufactured meth to Mexican "black tar" heroin. A majority of the state's drug trade is controlled by Hispanic cartels. These groups use gangland violence to protect their supply and enforce their control. Methamphetamine continues to remain an issue in Utah. The drug makes its way into Utah from Mexico through California and Colorado. Couple this with a thriving local network of meth labs, and the use of this drug has hit epic highs across the state. The 2013 Treatment Episode Data Set (TEDS) reports amphetamines as the number one illegal drug sending Utah residents into treatment that year. The study noted 2,824 individuals (20.4% of all enrollments) received treatment for methamphetamine addiction during 2013. Amphetamine addiction placed second to alcohol addiction with 3,222 individuals (23.3% of all enrollments) in the 2013 TEDS survey. Is the addicted person willing or able to move into a treatment facility? If the answer is no, then outpatient treatment will be the only route to pursue. If they are willing to enroll in an inpatient program, it is best to begin searching inpatient drug rehab programs in Utah. Statistically, inpatient programs have the highest success rates for helping their clients achieve and maintain their sobriety. Does the program provide detoxification services? When a person is physically addicted to drugs or alcohol it is important they receive detoxification prior to beginning their treatment program. This ensures the substances are out of their system. Completing detox also prepares the program participant for the process of recovery both mentally and physically. Location? Many people find that attending a rehab that is not located near their "stomping grounds" or close to home is beneficial. 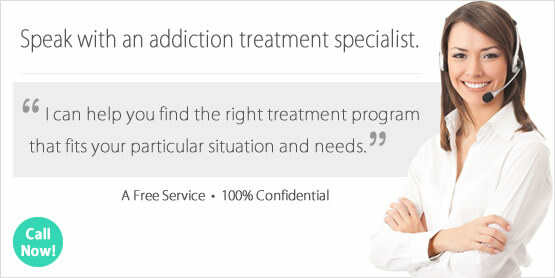 This is best suited for individuals willing to enroll in an inpatient drug rehab in Utah. How will treatment be paid for? Most drug rehabs accept payment from insurance companies or other forms of health care coverage. For individuals who do not have insurance, or choose not to use their coverage benefits, many programs will work with the person financially responsible in setting up a private pay agreement. Lastly, what type of treatment philosophy is used? There are numerous types of treatment philosophies practiced in drug rehabs in Utah, and across the country. Common rehabilitation philosophies include scientific approaches, cognitive behavioral approaches and 12-step based treatment just to list a few. Alcohol addiction was the primary reason behind the greatest number of Utah rehab enrollments during 2013. 23.3% (3,222 individuals) entered Utah alcohol and drug treatment programs citing alcohol as their primary substance of abuse. In a study conducted by the National Survey of Drug use and health (NSDUH) between 2008 and 2012, an estimated 98,000 persons aged 12 or older in Utah were dependent on or abused alcohol within the year prior to being surveyed. Results from this study also noted about 70,000 persons aged 21 or older per year reported heavy alcohol use within the month prior to being surveyed. Of these heavy alcohol consumers, only about 1 in 4 received alcohol treatment in Utah within the year prior to being surveyed. For those who receive alcohol treatment in Utah, the possibility of living a clean and sober life becomes attainable. Treatment provides the support and guidance necessary to overcome alcohol addiction once and for all. Inpatient vs. outpatient drug rehab in Utah differs in a number of factors such as price, duration of treatment and the depth of program. Often, inpatient rehab in Utah costs more than outpatient treatment because the program participate lives in the facility. During the time they are enrolled in an inpatient program they will sleep, eat and go about their day while residing in the drug rehab center. Outpatient drug rehab in Utah is usually less expensive because the program participate continues to live at home or in a sober living residence. The price for accommodations and meals are not a factor in the overall cost for outpatient care. When taking into consideration inpatient vs. outpatient in Utah, inpatient treatment centers are structured with treatment professionals available around-the-clock. Outpatient treatment allows for a flexible schedule, permitting the program participant to continue to go to school or work while enrolled in the program. The National Survey of Substance Abuse Treatment Services (N-SSATS) conducts an annual survey of substance abuse treatment centers across the county. This survey collects data on characteristics of the program, services offered, number of clients in treatment, etc. In the most recent 2013 N-SSATS survey, there were 171 substance abuse treatment facilities in Utah on March 29, 2013; 140 of these facilities were outpatient, 48 residential, and 2 hospital inpatient. Statistics on the success rate for inpatient vs. outpatient in Utah can best be determined by the national 2011 TEDS report on discharges from substance abuse treatment services. In this report, short-term residential treatment programs had the highest rates of program completion. In this survey, 54% of the nations' short-term residential treatment programs surveyed specified their clients had finished their program before being discharged. The second highest rate of completion among the various types of addiction treatment programs during 2011 was hospital residential treatment (53%), followed long-term residential treatment (45%). Outpatient treatment completion statistics indicate this type of rehabilitation method has the least number of program completions. In the 2011 TEDS survey, only 37% of outpatient treatment program participants completed treatment before leaving the program. What Does Inpatient Rehab in Utah Involve? What does inpatient treatment in Utah involve? It involves making the decision to leave behind drugs and alcohol and gaining the support and care provided by a substance-free environment. The program participant moves into the rehab center during their recovery to focus on getting clean and sober. This process can seem daunting, but is the best way to overcome even the most severe addiction problems. The program participant will bring with them their essentials, having both lodging and meals provided by the treatment facility. They can expect to attend group sessions such as 12-step meetings or therapy. Also, individual counseling is generally a large part of inpatient treatment. These sessions allow time for the program participant to reflect on their addiction and how to redirect their actions in the future. Data from the 2013 N-SSATS report on March 29, 2013 there were 48 residential inpatient programs and 2 hospital inpatient programs operating in Utah on that day. Many of these treatment centers provide more than one type of inpatient program. Of the 48 inpatient treatment centers in Utah at that time, 37 provided short term care, 46 offered long term care and 13 provided detox services. Inpatient treatment in Utah provides the greatest level of service. These programs have some of the highest success rates in the industry and help their graduates regain control over their lives while defeating drug and alcohol addiction. What Does Outpatient Rehab in Utah Involve? What does outpatient treatment in Utah involve? Outpatient treatment in Utah involves attending scheduled sessions at the facility. These sessions vary depending on the program and can range from daily, every other day or even just a few times a week. During the program, the client continues to live at home and is responsible for maintaining their sobriety. For this reason, it is not uncommon for outpatient treatment centers to perform drug testing on their clients to ensure their sobriety. Outpatient rehabilitation focusses on helping the client gain a better understanding of their addiction and what is needed to achieve and maintain sobriety. This form of rehab is best suited for those who have recently completed a more intense type of addiction treatment, who have a brief history of addiction or who have recently relapsed after a substantial period of sobriety. Data from the 2013 N-SSATS survey notes there were 140 outpatient programs in Utah on March 29, 2013. Of these 140 outpatient treatment centers, 135 offered "regular" outpatient services, 91 offered intensive outpatient services, 40 offered day treatment or partial hospitalization, 20 offered detoxification and 22 offered methadone/buprenorphine maintenance or Vivitrol. Outpatient treatment in Utah can provide care at a lower cost while helping the recovering individual maintain important aspects of their daily life such as work or school.